Over here you will find all the answers to the most common questions we get at iFiske! Oh! I need to do a "buying back" (return / refund) can you help me out? If the fishing permit is valid at the time, it could still be solved. In this case, you must contact the current fishery conservation or organization for a written approval of those sent to us, as it's (legally) their product. Help, I got a receipt/fishing permit intended for another person, to my mail or SMS that I know I have not bought! Do not worry. We have not drawn any money from you. Someone most probably entered the wrong information when applying for a fishing permit, and accidentally entered your phone number or email address. Probably the person typed in very similar address or number. Do I have to have a user account on iFiske to buy a fishing permit? Can I upgrade my fishing permit from weekly to annual, if I pay the difference? If the fishing permit has not been activated yet, we can do a "buying back", and you will have to buy a new fishing permit. If the fishing permit has already taken effect, we can not upgrade or downgrade permit. I lost the fishing permit, can you send it to me? The easiest way would be to make a free user account on iFiske, and then under "My Pages" enter your email address and your telephone number. On both website and app, you will be able to see your purchased fishing permit. If you have purchased a fishing permit by text message, you can also see them, but this is only possible if you connected your moible number to My Pages during the purchase of your user account on iFiske. I bought a fishing permit, but it does not appear in the app? What is a fishing permit? A swedish fishing permit ("Fiskekort") is a personal permit to sport fish in specific waters under certain conditions. They are usually sold by the owners of the water areas via a fishery conservation association for recreational anglers. In some cases, state, private or a local fishing club stand behind the permits. → Read More: What's a fishing permit? Do I also need a national fishing license? Do I really need a fishing permit? Free fishing is not included in the "everyman's right". Free fishing in Sweden is limited to Sweden's coastal strip as well as in the five large lakes Vänern, Vättern, Mälaren, Hjälmaren and Storsjön. Rules apply here as well. For more information, see http://www.svenskafiskeregler.se/). If you do happen to fish in other waters, you need permit to fish, ie a fishing permit. In Sweden there are about 2000 known fishing areas (FVO) and about as many clubs and other organizations tht sell fishing permits (eg via iFiske). Fishing areas may also be private or leased to companies or associations. Can several people use same fishing permit? Most likely no. A fishing permit is personal (and non-transferable). Local exceptions and rules may apply, and in many cases are also offered so-called Family Card. Read the fishing rules for the area where you plan to buy a fishing permit for more information. How does it work with fishing permit and iFiske? Compared to old tradition fishing permits, we do not sell fishing permits on paper. You buy the card rather than electronically via the website, app or SMS. We will send it to you as SMS and Mail (with PDF), you can see it in our App as well. Payment is made via SMS (WyWallet), Bank Payment, card or invoice. How do I bring along an iFiske "fishing permit" to my fishing trip? phone or write down the number. You can also print the PDF that was provided to you via mail (When buying on the Web) or access your fishing permit from our App. Can you help me to plan my fishing trip? Where should I go? How and where do I fish? With all due respect and without intention to be unfriendly, we are not a tourist agency and unfortunately, we can’t offer any general fishing advice or tourist information services. We are a small IT company which sells fishing permits on behalf of the fishing conservation areas that signed an agreement with us. Even though we are active anglers ourselves, we have very limited knowledge of what applies locally to fishing in the area where you intend to fish. For most fishing areas at iFiske, there's public contact information specified (email/phone) that you can turn to for questions. 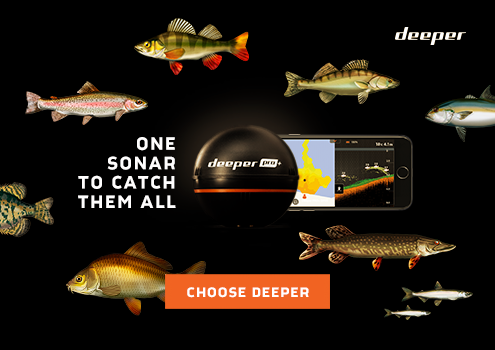 You can search for fishing possibilities through our map, and read about fish species and fishing techniques at our web. Please keep in mind that iFiske does not represent all Swedish fishing areas (There are several thousand). Therefore, it is often a good idea to contact the regional tourist information, or look at the municipality or county administrative websites and search for fishing. To search for specific fishes, and see where and how they're caught, check out our searchable public catch report database. In this database, you can search for a specific fish species, narrow it down specific swedish regions, and see the weather and fishing method used. Do children/youth need a fishing permit? There is no general law or regulation in Sweden that says that children and young people can fish for free. However, many areas have chosen to offer free fishing for children and young people, often accompanied by an adult. Read the rules for fishing in the area you want to know more about. If not specified, it most likely requires a fishing permits. Is there a fishing permit covering all Sweden? Is there a fishing permit for the "whole county"? No. In Sweden there is no coordinated fishing permit based on a certain county, In some cases, however, a number of FVO goes together and do offer fishing permits in larger areas. Often these are referred to as "tourist fishing permit". iFiske has no ”county-wide” right to sell fishing permits in Sweden. We only sell fishing permits for areas that have signed agreements with us. You are welcome to inform the association about providing permits digitally. In this way we can create a agreement with the association. What about poaching (illegal fishing) and what are the legal consequences of it? With a fishing permit, the owner of the water can keep track on the total amount of fish in the water. They can also raise money for important water conservation measures. The actual permits functions as a large part of the financing of the important measures in our waters. Revenues are being used to finance the replanting of young fish, liming and other water and fish conservation measures, but also as a financial compensation to owners of fishing rights (landowners). Compared to other stores, is iFiske more expensive than others when it comes to fishing permits? What kind of company is iFiske? Jighead AB? What is required to get started, and sell through you? Is iFiske meant only for large areas / associations? No! iFiske is for all associations, clubs and companies who offer fishing on presentation of the permit. What does it cost to sell through you? We have no connection fee, annual fee or any hidden charges. We work entirely on commission by selling fishing permits. In our brochure you will find the current commission levels. How do we control the permits? Either through the lists that you print and take with you out on the water, or via a mobile phone. We have a special number you can send an SMS to, so you get answers within seconds about validity of the card. If you have a smartphone, you can also use QR codes, or a mobile-friendly website for the controls. Is it not possible for the customer to cheat the system by getting a permit when they see the supervisor approaching? All fishing permits are time-stamped accurately when they are purchased, and we also have an option to delay delivery of the fishing permit after the purchase is complete.